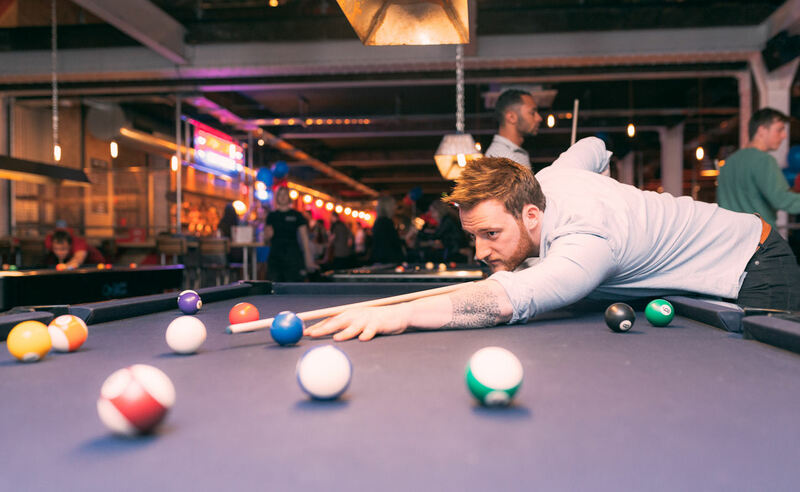 Situated right in the heart of Deansgate, Roxy Ball Room is a huge 18,000 square foot with two floors of ping pong, pool, mini golf and beer pong. 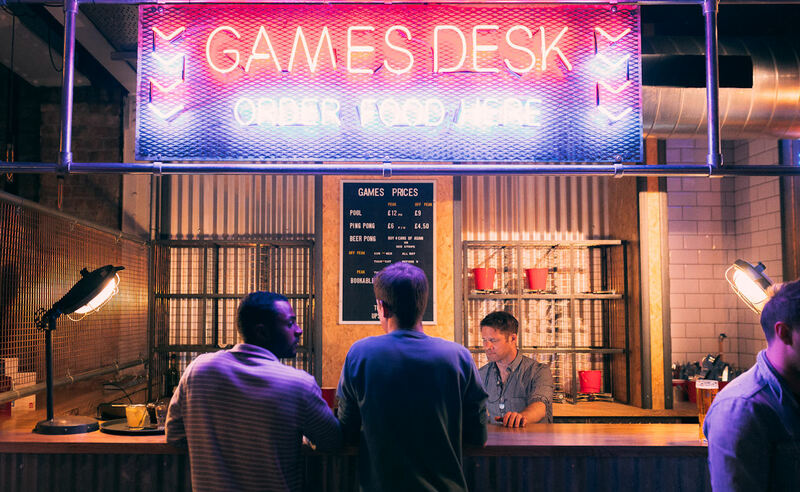 Coming through the tiny doorway next to La tasca you are thrown into the vast open space with sectioned off separate areas for each game, multiple bookable areas for parties, plus a bar and dining area. 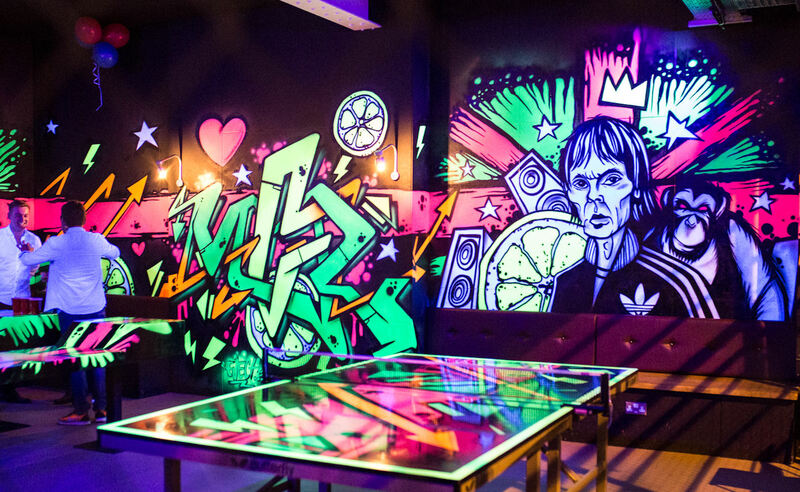 Overlooking Deansgate are four full-size pool tables and a giant King Kong mural, as well as a UV ping pong room featuring neon graffiti artwork of Ian Brown and the Stone Roses’ famous lemon emblem. A caged-off platform opposite the bar houses the main ping pong area, with four tables to play on. Also a large tournament area for those who want an audience to showcase their ping pong skills. 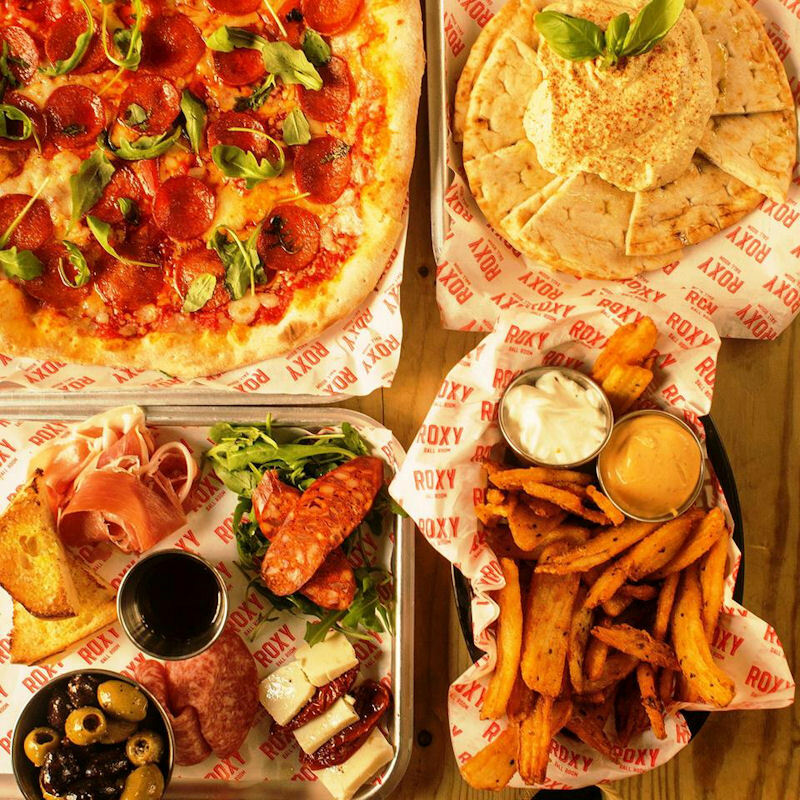 Past the bar is an open kitchen, serving pizzas, burgers and sharing platters of snacks such as buffalo chicken wings, mac & cheese bites and jalapeno poppers, and a dining area modelled on a garden with Astroturf and coloured fairy lights. The Dining area is also home to their pop up events. 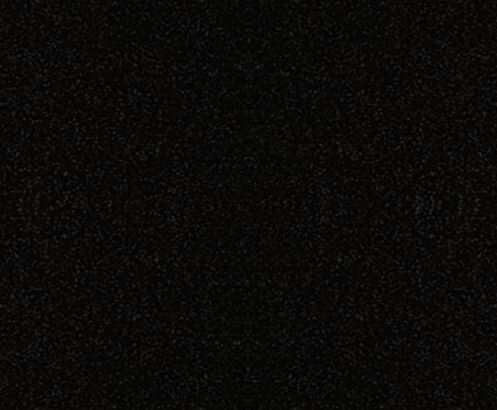 Check the website to see what's up next. 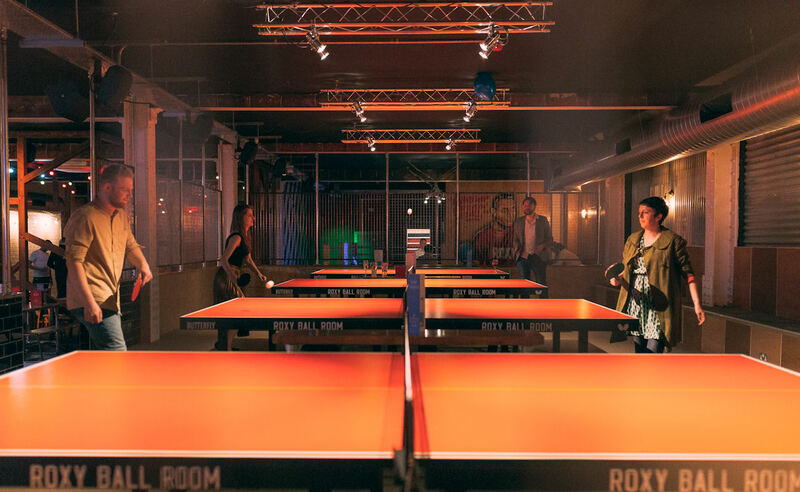 There are more ping pong and pool tables in a mezzanine area upstairs as well as a private VIP Room which includes a ping pong table, pool table, beer pong table and a fridge for pre-paid drinks. Roxy Ball Room is dedicated to bringing a fun experience through great gaming, great beer, great food and great music. It's where ballers choose to play. 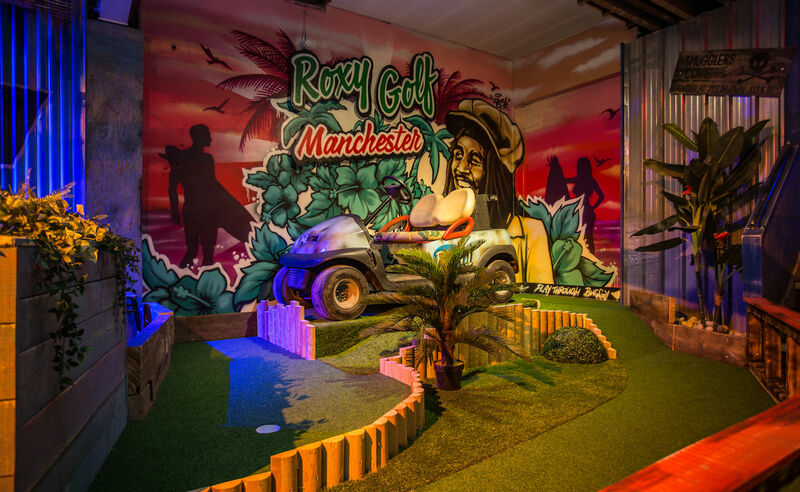 Roxy Ball Room on Deansgate is also home to an impressive 18 hole mini golf course which features its own bar and cocktail menu to fit the theme. 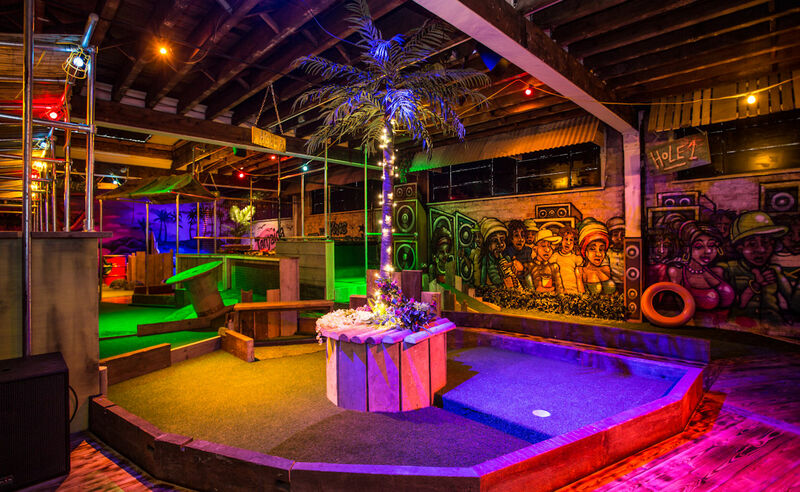 The in-house design and build team have constructed the course which has a traditional grass mini golf feel with loops and ramps, with some quirky Roxy twists. 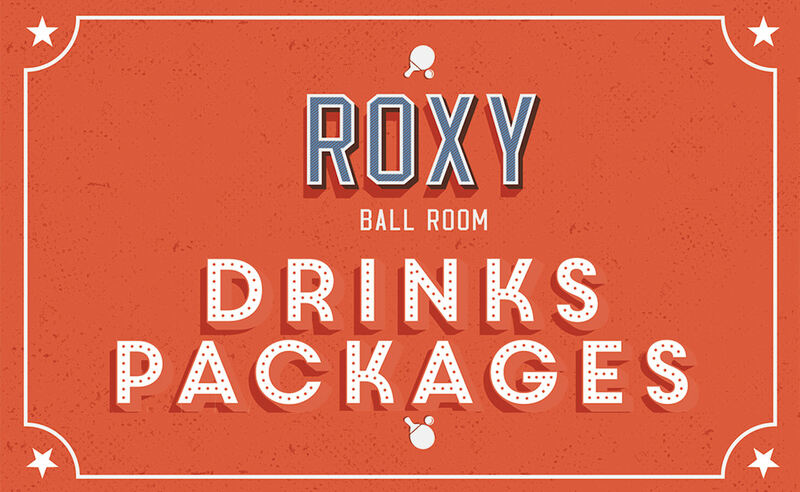 Fancy hosting your next party or event at Roxy Ball Room? They have 5 separate areas available to hire out. GARDEN AREA - A semi-private area which includes the use of 1 ping pong table. This area is charged at £20 per hour and has a capacity of 20 people. 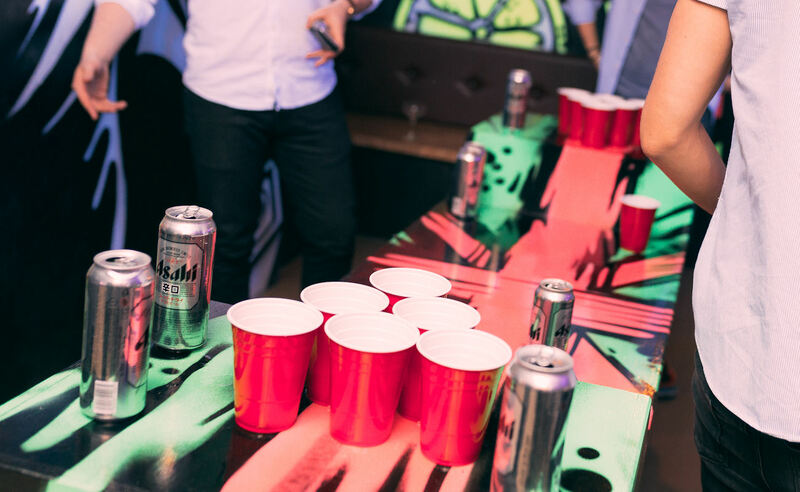 TOURNAMENT AREA - A semi-private area which includes the use of 1 ping pong table and 1 beer pong table, with a capacity of 30 people. This area is charged at £20 per hour. 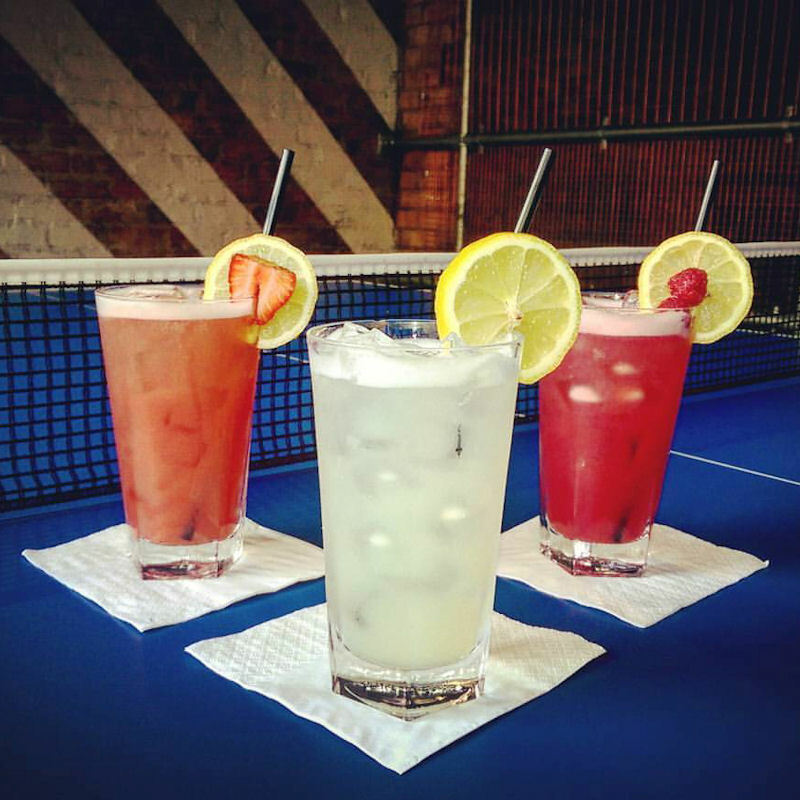 UV PING PONG ROOM - A private area which includes the use of 1 ping pong table and 2 beer pong tables, with a capacity of 30 people. This area is charged at £25 per hour. VIP ROOM - A private room which includes the use of 1 pool table, 1 ping pong table, 1 beer pong table and has a fridge for pre-paid drinks packages. This area is charged at £35 per hour and is perfect for parties of up to 40 people. MEZZANINE - A large gaming area on the upstairs balcony which includes the use of 2 ping pong tables, 3 pool tables and 2 beer pong tables. This area is charged at £60 per hour. "Drinks Packages as seen on ManchesterBars.Com"
T&C's, Minimum spend applies to qualify for vouchers & tokens. The newest attraction at Roxy Ball Room. Get yourself an advance ticket for £15 per person for 18-holes or £9 per person for 9-holes. Groups of up to 4 people can tee-off every 10 minutes. The course takes around 90 minutes to complete (18-holes).